Kyneburgha (d. c. 680) and Kyneswide were sisters, the daughters of King Penda of Mercia, the sisters of Peada of Mercia; their mother was Kynewise. Kyneburgha married Alhfrith of Deira, co-regent of Northumbria (who attended the Synod of Whitby in 664), but later founded an abbey for both monks and nuns in Castor. She became the first abbess. She was buried in her church, but her remains were translated, before 972, to Peterborough Abbey, now Peterborough Cathedral. She had been one of the signatories, together with her brother Wulfhere, of the founding charter of Peterborough Abbey, dated 664. The Danes laid waste to the area in around AD 870. The Church of England parish church of St Kyneburgha is notable for its Romanesque architecture and includes notable medieval wall paintings. It is a Grade I listed building. It is uniquely the only Church of that name anywhere in the world. 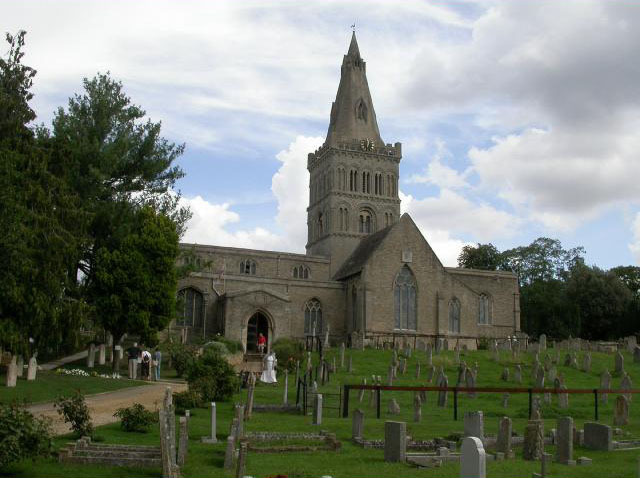 The Robin Hood and Little John Standing Stones were erected here between the 12th and 14th centuries in an agreement with the abbot of Peterborough Abbey that tolls would not be levied on the passage of stone from the abbey's quarries at Barnack.